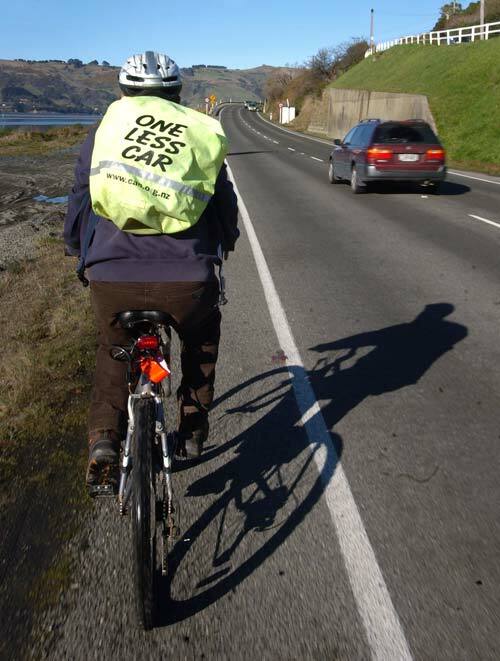 CAN activist Steve Walker cycles on the edge of State Highway 88 at St Leonards near Dunedin in 2008. In a newspaper article that year he called for cycle lanes and other amenities for Otago cyclists. The Cycling Advocates Network (CAN) was formed in 1997 to lobby for amenities for cyclists.